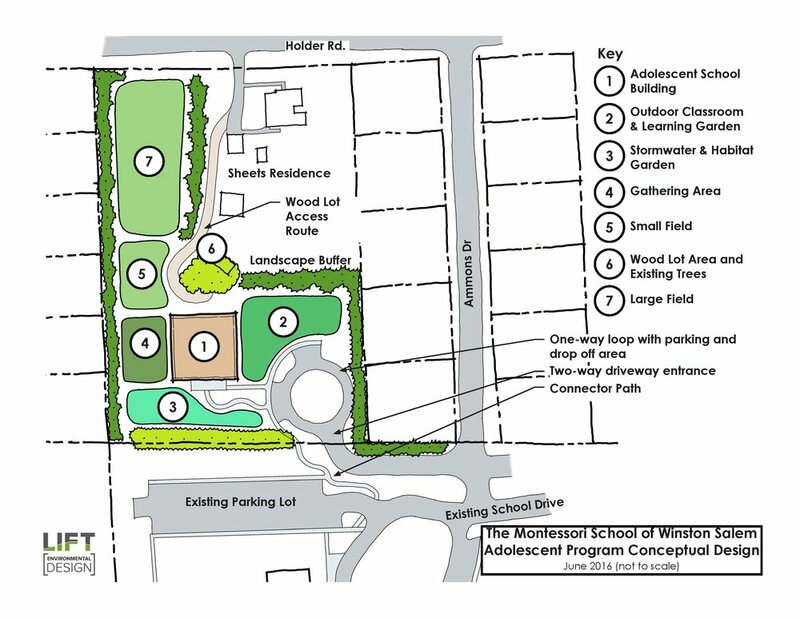 We are working with the Montessori School of Winston Salem on the revision and implementation of their masterplan. 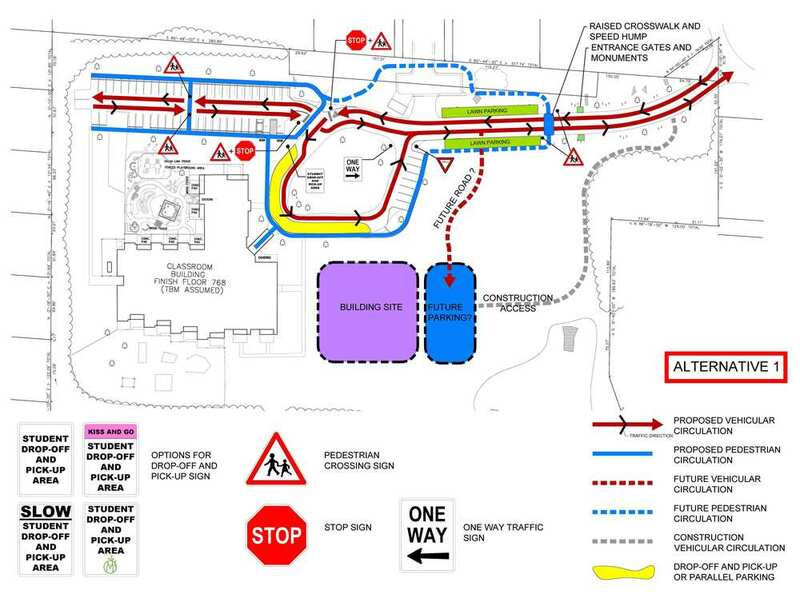 In 2013, we worked with the school to re-organize the pedestrian and vehicular circulation system. Stop bars, signage, pavement marking, and crosswalks were installed to provide environmental ques to parents as they bring their children to school. Parking areas were re-striped to provide additional spaces and create a safe walkway from the parking lot to the school. According to Jon Churn, Head of School, the new circulation pattern is much safer and easier to manage. We also worked with the school to visualize a new entry experience that provides a sense of arrival that embraces the community. 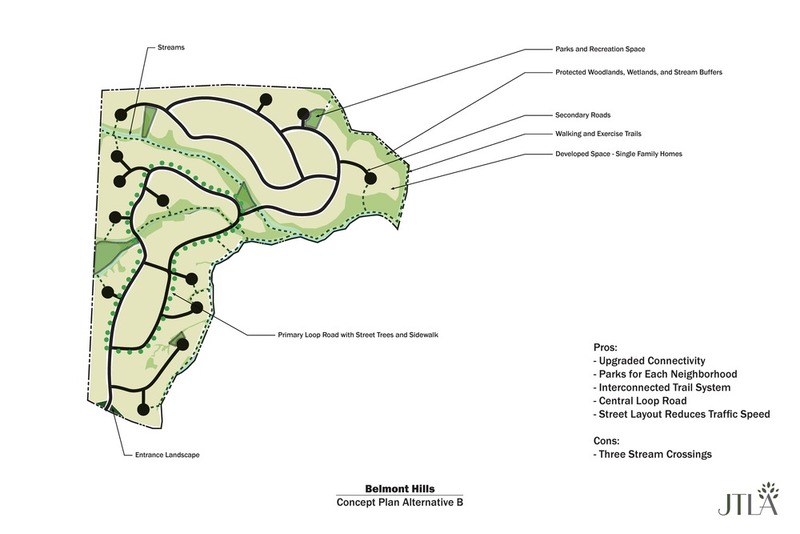 Rose Pointe is a new development planned just outside of Fayetteville, NC. The community features large homes on partially wooded lots, streets with sidewalks and shade trees, walking trails, and a welcoming entrance. We worked with the developer to design the community, entrance, and create visualizations for prospective investors.